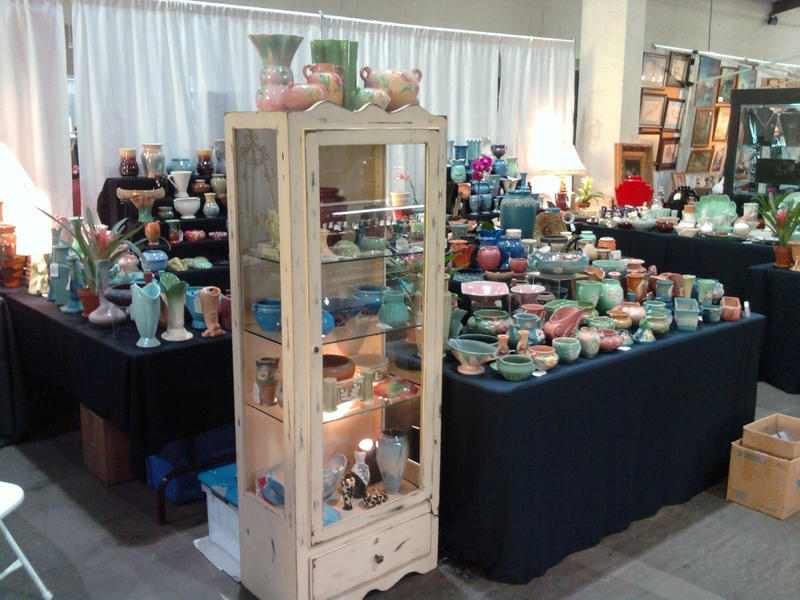 Set-up for today’s opening of the Del Mar Antique Show & Sale continued well into last night, but we’re happy to report that we have the largest display of 20th century art pottery at the show! In fact, this may be the largest display of our inventory that we’ve ever presented. There is much to choose from & add to your collection! Show hours are 11 AM to 7 PM today and tomorrow. 11 AM to 5 PM on Sunday. We look forward to seeing you there!